In October, the Federal Reserve rolled out the newest iteration of the venerable $100 bill. It's colorful and chock full of high-tech anti-counterfitting measures like holograms, microprinting and color changing ink. They're pretty good, and sure to give wannabe counterfeiters a run for their money. However there's always the chance that some nefarious actor will get a fancy enough printer to reproduce convincing fakes. What if there was some way to use the weird peculiarities of quantum physics to make an un-copyable dollar bill. Physicists have been working on the theoretical underpinnings for such quantum money, but unfortunately for practical reasons we're not likely to see "qubitcoins" in our wallets any time soon. All dollar bills have serial numbers on them. Having a unique identifier on each bill helps law enforcement track and identify counterfeit bills. 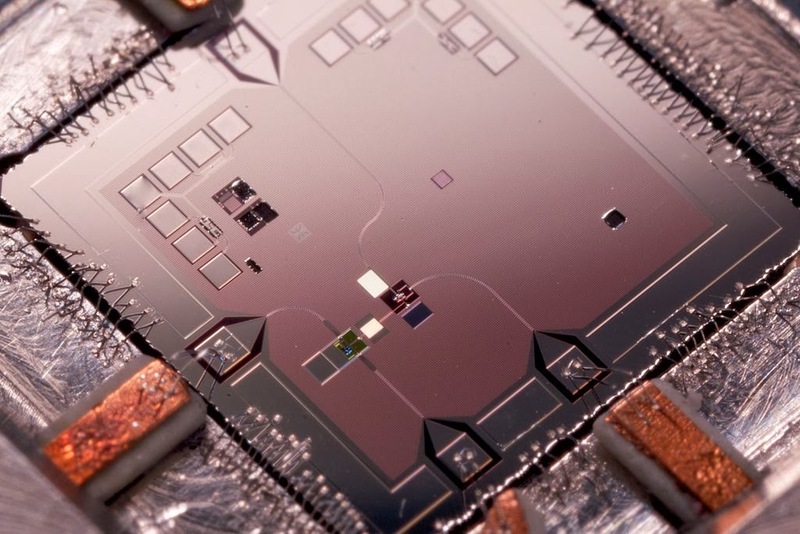 Quantum dollars would have a second serial number, one made of qubits that can only be read with a quantum computer. Qubits are individual bits of information stored on a single quantum particle. A photon could be polarized either vertically or horizontally, which corresponds to either a 0 or a 1 in binary. String a large number of them together, and they become an un-copyable code that can only be read by a special quantum computer. Whenever someone buys something with quantum money, the clerk runs the bill's serial number through a central database, checking to make sure that the bill's qubit code matches the one on file. It's really a bit more like checking than an ordinary cash in this way. The qubit codes are impossible to duplicate because in the counterintuitive world of quantum mechanics, the act of measuring qubits is inherently destructive. It's called the "no cloning theorem" and means that if a counterfeiter tries to measure the polarizations of the qubits without knowing what they are before hand, he or she will change them, making the bill worthless. Closeup on a single qubit in a laboratory. To check a bill's authenticity, the polarized qubits pass through a filter. If the filters match what is on the bill, then the qubits pass through unchanged, but if they're different, the qubits change to match the filters. The reason that the clerk can measure the quibits without changing them, is because by running the serial number first, the computer can pull up the correct filters and scan the bill to make sure it's legit. The idea for quantum money has been around for decades. Physicist Stephen Wiesner, who did a lot of the fundamental work on quantum information theory in the late 60s and early 70s, was the first to come up with the idea to use quantum mechanics for anti-counterfitting. He wrote the first paper about it in 1970, but it was such an unorthodox idea, it took 13 years for that paper to be published. It's an elegant theoretical problem, but unfortunately practical constraints mean that we probably won't see quantum dollars any time in our lifetimes. Qubits are terribly fragile and take a whole room full of specialized equipment to create even for short periods of time. Not very practical to fold up and stick in a wallet. Right now the record for the longest lasting qubit in a lab stands at 39 minutes at room temperature. 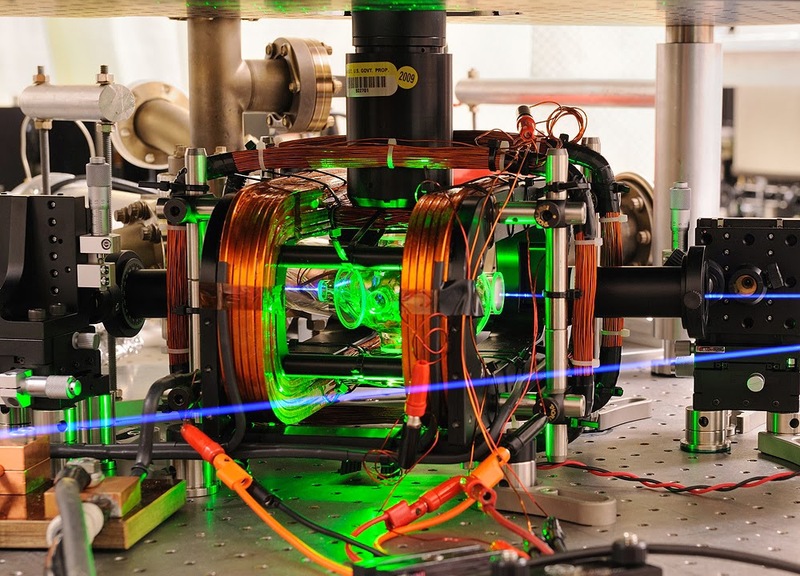 An ion trap at NIST, another way to create a qubit for quantum computing. A bit big for a billfold methinks. Still, a lot of the underpinning quantum information theories carry over to designing quantum computers which don't need to be nearly as portable. auto title loans online in fresno has the potential licenses partner degree large disagree of persons regular. At even so purpose crises happen, impression notice u. s. of America all.